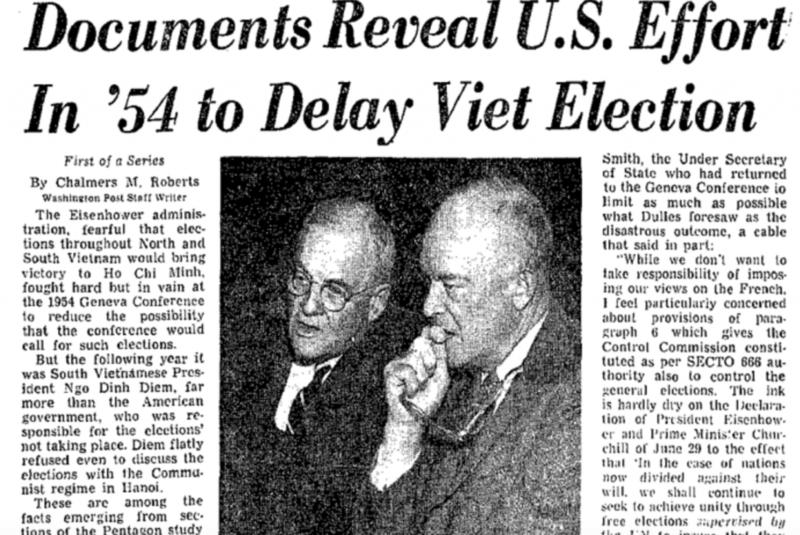 The Pentagon Papers, also known as the “Report of the Office of the Secretary of Defense Vietnam Task Force,” were commissioned in 1967 to study U.S. decision-making before and during the conflict in Vietnam. In 1971, Daniel Ellsberg, a consultant who had worked on the 7,000-page classified study, leaked it first to The New York Times and then The Washington Post. 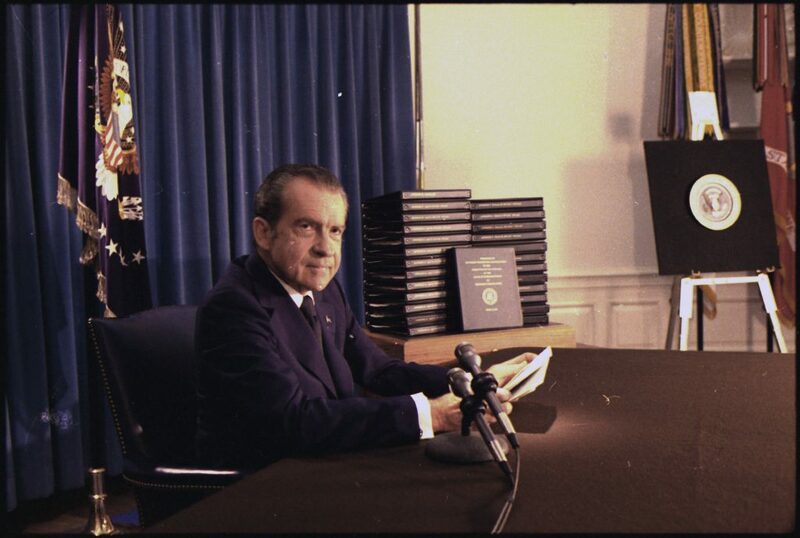 The Nixon Administration sought to stop both papers from publishing stories based on the leaked documents. In New York Times v. United States, the Supreme Court ruled to 6 to 3 to lift an injunction against The Times. It said that any request for a prior restraint “comes to this Court bearing a heavy presumption against its constitutional validity” and the government had not met its burden of showing justification for a restraint on publication. 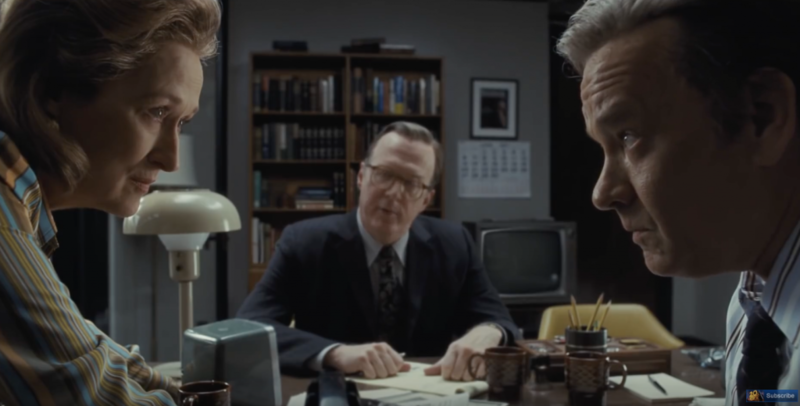 The new movie, The Post, with Meryl Streep and Tom Hanks dramatizes this pivotal moment in U.S. history. Peter Greste was arrested with two colleagues in Egypt in 2013 on terrorism charges, a crackdown on press freedom that he is reminded of by the new film, The Post, and the current state of journalism. In 1971, New York Times reporter Neil Sheehan was the first to have access to Daniel Ellsberg’s Pentagon Papers. In his memoir, Ellsberg writes,“Only The Times might publish the entire study, and it had the prestige to carry it through.” Later, the Washington Post joined The Times in its efforts to publish in an important test of freedom of the press. “I identify more with Chelsea Manning and with Edward Snowden than with any other people on Earth. They’re – we all come from very different backgrounds, different ages, different personalities, but we all faced the same question, which is who will put this information out if I don’t? And each of us came to the conclusion that this information that the public had to know would have to be put out by us, by ourselves, because no one else was going to do it,” said Ellsberg in an NPR interview. May 16, 2017: Is It Ever OK For the Government To Ask Papers Not to Publish? Callum Borchers looks at cases where the government and newspapers worked hand in hand to prevent sensitive national security information from being published. As the full archive of the Pentagon Papers went live, Daniel Ellsberg reflected on their meaning. “What we need released this month are the Pentagon Papers of Iraq and Afghanistan (and Pakistan, Yemen and Libya). We’re not likely to get them; they probably don’t yet exist, at least in the useful form of the earlier ones. But the original studies on Vietnam are a surprisingly not-bad substitute, definitely worth learning from,” he wrote. 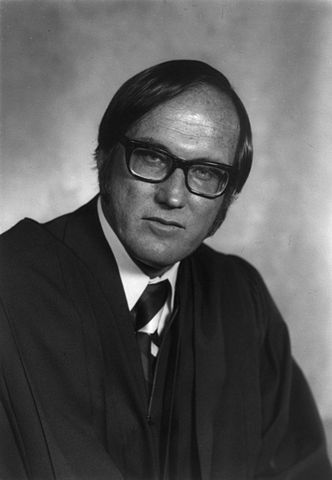 Rehnquist’s Phone Call to Bradlee: Cease Publication or Be Prosecuted Under Espionage Act! The demand by the U.S. government that The Washington Post cease publishing its articles on the Pentagon Papers came soon after 3:00 p.m. on Friday, June 18, 1971. 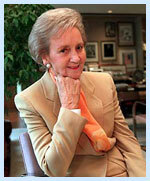 Benjamin Bradlee, managing editor of the Post, was in his office with publisher Katherine Graham and some editors when he took a call from Assistant Attorney General William H. Rehnquist (the following year, Rehnquist was appointed Associate Justice of the Supreme Court of the United States and later Chief Justice). Links to the 48 boxes and approximately 7,000 declassified pages of information. Video is of U.S. Senator Mike Gravel reading the Pentagon Papers into the record in June 1971. In February 1971, President Nixon began secretly taping conversations and telephone calls in several locations, including the Oval Office, his office in the Old Executive Office Building, the Cabinet Room, and Camp David. 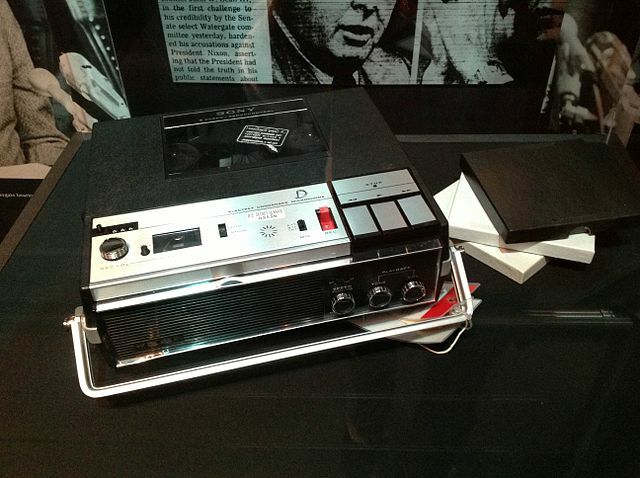 There are 2,636 hours of tapes containing conversations from February 1971 through July 1973 open to the public. Listen to the conversations about how to silence reporters including the phone call between President Nixon and John Ehrlichman on Monday, June 14, 1971 at 7:13pm in which they discuss telling The New York Times not to run the story. 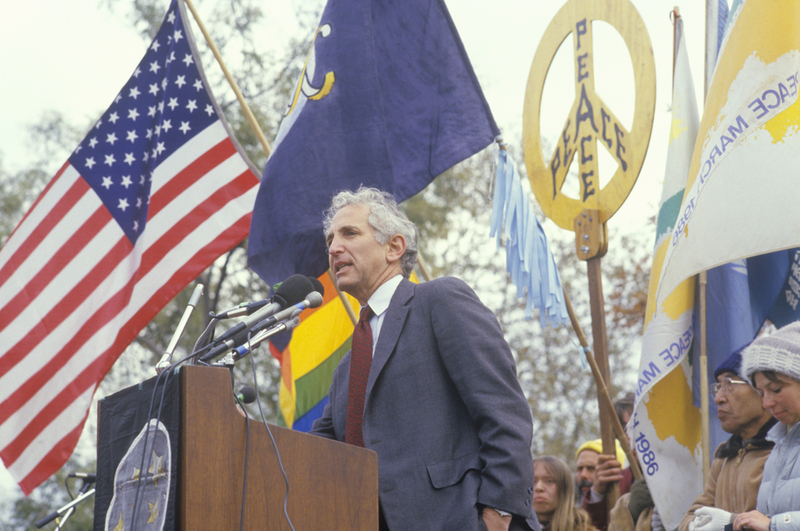 While The Times and The Post were allowed to continue their investigation into the Pentagon Papers but once outed, Daniel Ellsberg went on trial and was finally vindicated in May 1973. A review of the 6-3 Supreme Court judgment that rejected prior restraint of publication. 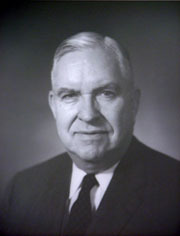 The New York Times began publication of the documents, was barred by a court, and the mantle taken up by the Washington Post. Prior restraints go at least as far back as 16th century England, when invention of the printing press made it possible to spread dissent and new ideas widely. Such publications could pose a threat to the Crown or accepted religious doctrine, so Henry VIII instituted a system of licensing printers and official censorship to control the spread of ideas. 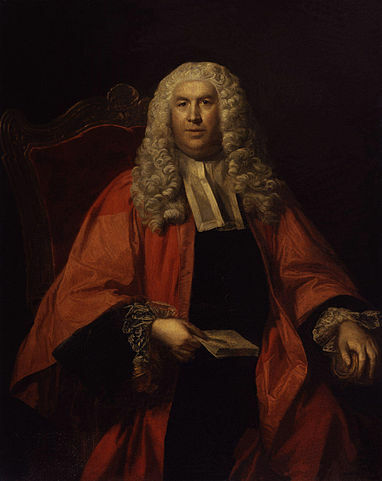 The licensing and censorship system expired in 1694 and in the colonies a few decades later, leaving post-publication punishment through seditious libel laws (criminal offense of criticizing government or public officials) the most effective way to punish dissent. Given this history, the First Amendment has always been seen as providing, at a very minimum, freedom from these “previous restraints upon publications.” Except in rare circumstances, the First Amendment prevents censorship by the government or by a private party acting through an injunction issued by a judge. The most famous prior restraint case is New York Times v. United States, 403 U.S. 713 (1971). 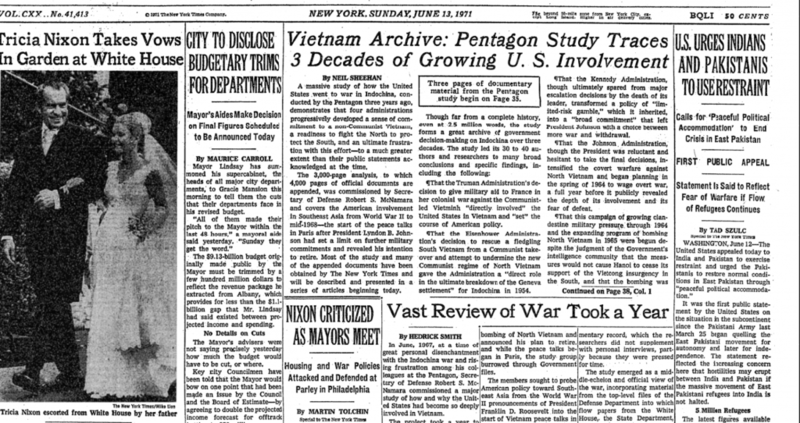 The Nixon Administration sought to stop the Times and The Washington Post from publishing stories from leaked classified documents called the Pentagon Papers, a Department of Defense study of U.S. decision-making before and during the conflict in Vietnam. Daniel Ellsberg, a consultant who had worked on the 7,000-page study, leaked it to the newspapers. A federal appeals court in Washington, D.C. upheld the right of The Washington Post to publish its stories on the Pentagon Papers, but the federal appeals court in New York issued an injunction against The New York Times. The two cases were combined at the Supreme Court. From beginning to end, the case sprinted to a decision in just 16 days, a mark of its importance since a newspaper had been stopped from publishing stories of enormous public interest. The Supreme Court’s opinion in New York Times v. United States was a short three paragraphs with each justice weighing in separately. “We granted certiorari in these cases in which the United States seeks to enjoin the New York Times and the Washington Post from publishing the contents of a classified study entitled “History of U.S. Decision-Making Process on Viet Nam Policy.” Post, pp. 942, 943. “Any system of prior restraints of expression comes to this Court bearing a heavy presumption against its constitutional validity.” Bantam Books, Inc. v. Sullivan, 372 U.S. 58, 70 (1963); see also Near v. Minnesota, 283 U.S. 697 (1931). The Government “thus carries a heavy burden of showing justification for the imposition of such a restraint.” Organization for a Better Austin v. Keefe, 402 U.S. 415, 419 (1971). The District Court for the Southern District of New York, in the New York Times case, and the District Court for the District of Columbia and the Court of Appeals for the District of Columbia Circuit, in the Washington Post case, held that the Government had not met that burden. We agree. 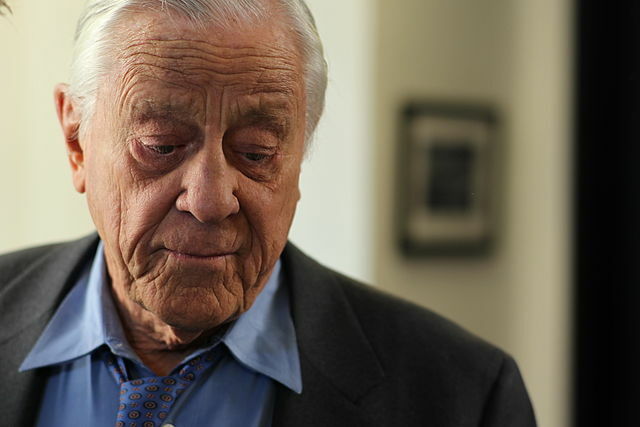 In this documentary, a group of writers and scholars, including the First Amendment Watch’s founding editor, Stephen D. Solomon, examine the First Amendment’s protection of a free press as well as the historic origins of this right and the ramifications of the landmark ruling in New York Times v. United States, the Pentagon Papers case, in which the Supreme Court ruled that prior restraint is unconstitutional.